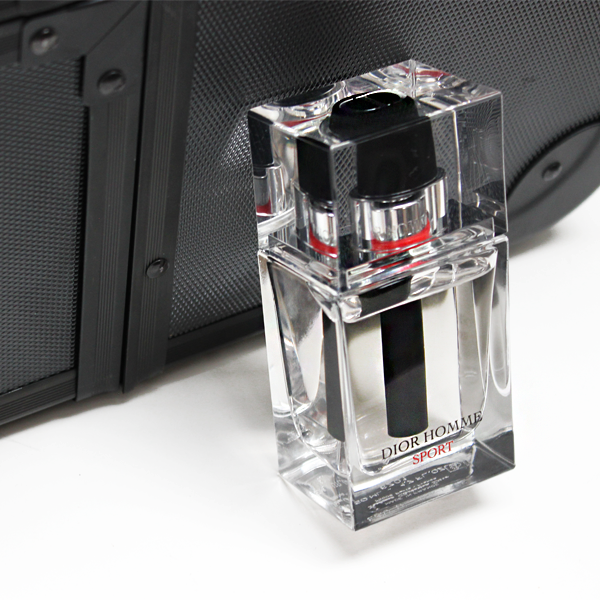 Dior Homme is a fragrance line that acts as a capsule wardrobe of scent for the modern man. For every day there is the original, an effeminate and sensitive blend of suede, iris and lavender. In the evening, a gent can reach for the gourmand-leaning Homme Intense to get his fix of the deeply seductive and the magnetic, whilst in summer he is catered for with Homme Cologne and Eau for Men. In fact, with the Dior Homme line there isn’t an occasion where a man doesn’t have a scent to match and with their latest launch, Dior has now extended their offerings to cater for a dude’s athletic activities with Dior Homme Sport. 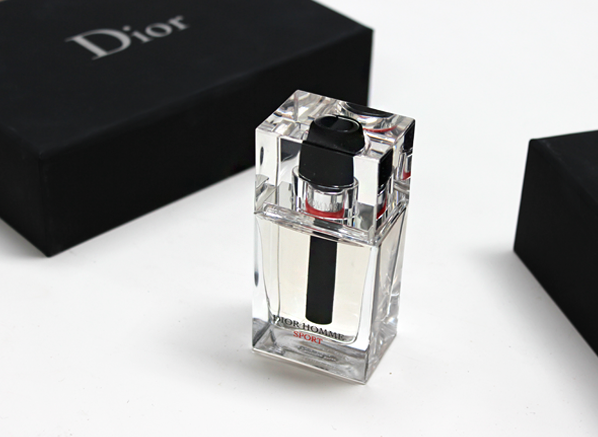 Now, Dior Homme Sport the 2017 edition is a reworking of the scent which has previously appeared in the Dior Homme line-up. Created by their in-house Perfumer-Creator, Francois Demachy, this sportier edition takes the traditional traits of hesperidic masculine fragrances and pushes them to their extremes. The result is something intensely fresh and bold. For Dior Homme Sport, Francois Demachy speaks of “extreme fruits” and “explosive notes”, and he’s created a vibrant signature that adds a touch of chic to the sports genre. Let’s explore. Dior Homme Sport starts out really bright with what I like to call an olfactory whiteout effect. This is where citrus notes are turned up to such a level that they almost feel as if they are burning hot with white light. In terms of scent, this comes across as a really tart grapefruit note with drops of acidic lemon to create something tangy that doesn’t feel drinkable. Instead, it feels bracingly fresh with the warm sunniness of citrus to prevent it from feeling icy or standoffish. Dior Homme Sport is energetic, bright and inviting from the get-go. The heart is surprisingly smooth, given the energy of the opening and it extends its freshness by pairing spice with flowers. Geranium, with its naturally minty-rosy odour, provides a cool, metallic feel when paired with the silvery spice of black pepper. Together they create a sweet mineral facet that pays homage to the refreshing, aquatic feel of sports fragrances but presents this style in a more palatable, and ultimately more luxe manner. My biggest complaint with sports scents is the fact that they can often feel shrill but with Dior Homme Sport there’s a softness in the heart that keeps the explosions and extremes of the opening fully in check. As it dries down, Dior Homme Sport becomes warmer, shedding away the iciness of the mineral heart and the tang of the glowing citrus up top. The base is reserved for the supple texture of sandalwood, which brings a nutty and surprisingly transparent warmth to Dior Homme’s bubbly brightness. The metallic, oily tones of vetiver, which feel as if they have been stripped of their colour here, provide a link to the minerals and citrus notes and allow for a dark contrast, adding just a touch of murkiness to Dior Homme Sport’s crystal clear waters. Dior Homme Sport shares little of its olfactory DNA with the original Dior Homme but it does have a sense of style in common with its fragrant relative. If Dior Homme is an outfit of the softest suede and cashmere, Sport is a pristine white tennis outfit that could possibly be cheekily rocked as an everyday outfit. Both are unmistakable ‘Dior’ garments, of course. It’s the fragrant equivalent of the athleisure trend, presenting a laid back and effortless style that is clean, comfortable and inviting. It’s the perfect addition to the scented capsule wardrobe of Dior Homme. This entry was posted on Wednesday, April 26th, 2017 at 1:55 pm and is filed under Candy Perfume Boy, Fragrance, Men, New products, Tried & Tested. You can follow any responses to this entry through the RSS 2.0 feed. You can skip to the end and leave a response. Pinging is currently not allowed.